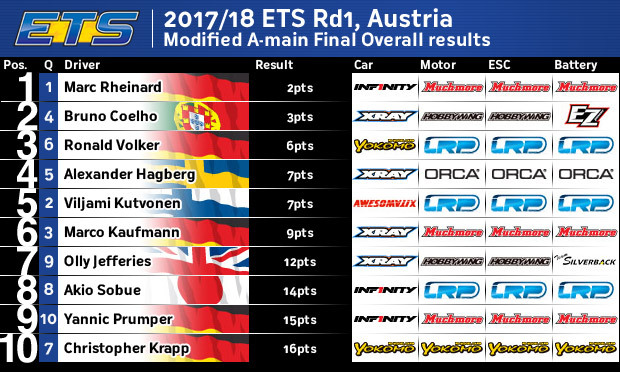 New season start ETS round 1 In Vienna. Nice track and good peoples. All perfect weekend of Marc win!! amazing zero mistake Q1 to Q4, Final 1 and 2. 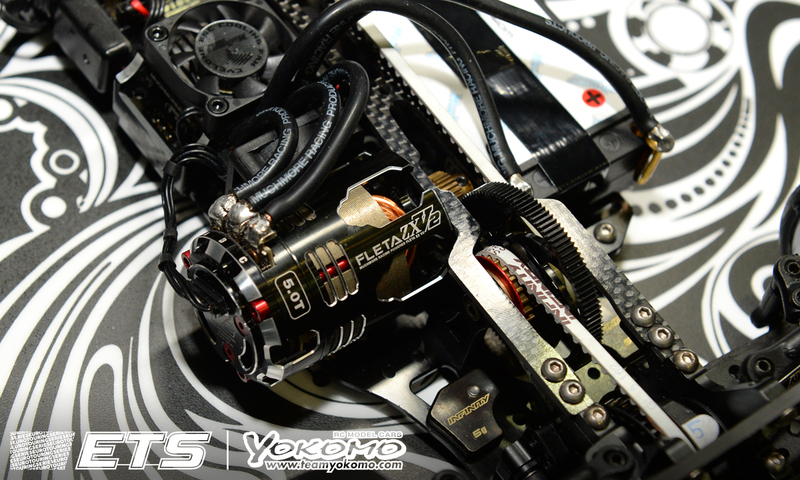 New Fleta Pro V2 Expert V1.5 Firmware working great with New Fleta ZX V2 motors. And Yannic Prumper 9th and Marco Kaufmann also 5th good performance electronics with good driving overall A main 3 and Lucas B main of Muchmore team drives in modified class. Pro Stock class Martin Hoper 6th, Tony Streit 9th, Helge Johannessen 10th. All good job Team Muchmore drivers. 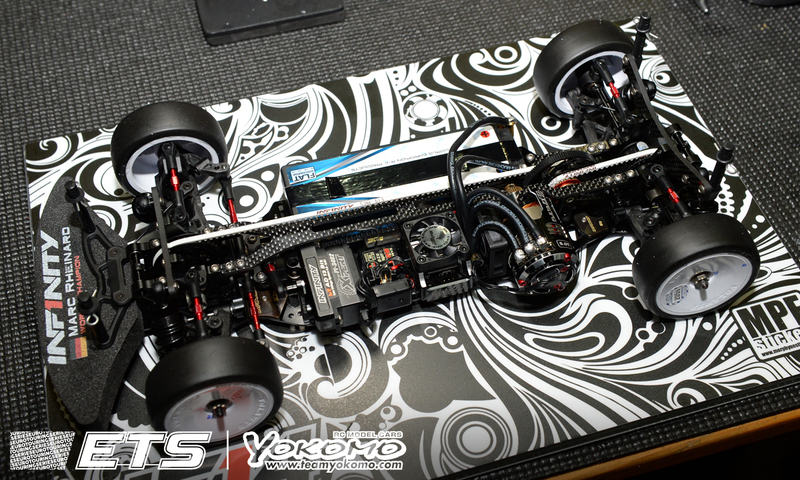 For Pro Stock class New Fleta Euro V2 speedo good working 25000 RPM limit with New V2 13.5 Fixtiming ETS engine. Many divers told to me perfect working and enough one set of New Volnate Formula tire hole weekend use. Also Volante 28CP touring car tyres zero problem this round 1. Thanks for all drivers and my friends, distributors. Ole, suns, wife family, Scotty and Uwe. i took the win in A2 to secure the overall win here in Vienna at the first round of the ETS!! i could TQ all 4 rounds of qualifying and won the first 2 Mains, i'm so happy to final win an ETS again!! It's the first TQ and win at an ETS for #Inf1nity and i hope to add some more to it!!! 3 cars in the Top 10 shows that our car is working great and we are improving from race to race! Thanks for all the support from all my sponsors!!! Now one day stay Vienna go to back home tomorrow.